Lot 618: 10 pcs. 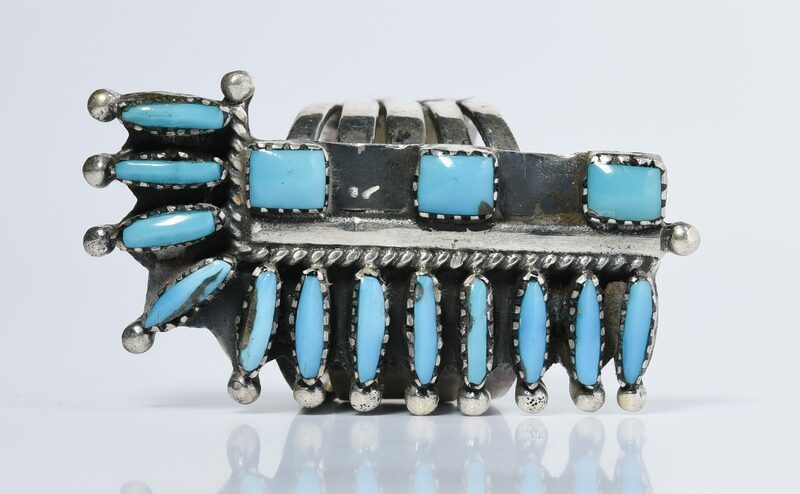 Old Pawn, Zuni etc. You are here: Home >> July 30, 2016 Historic Southern Summer Auction >> Lot 618: 10 pcs. 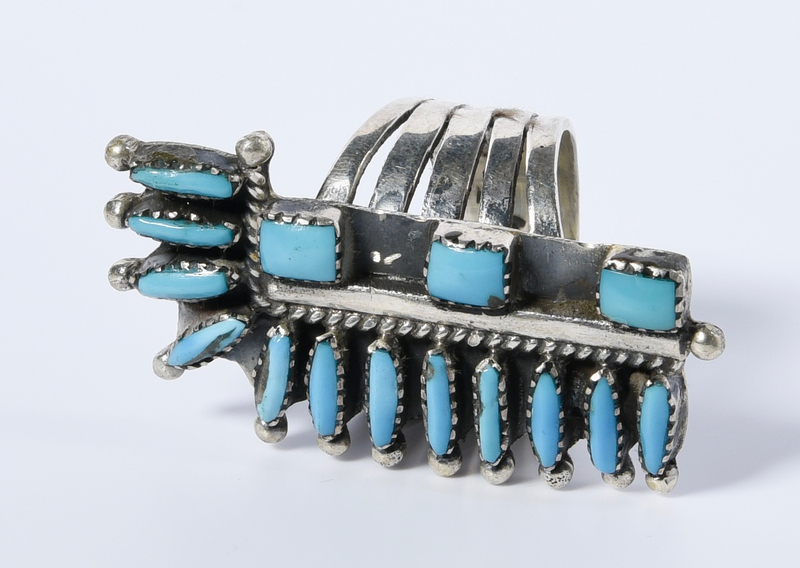 Old Pawn, Zuni etc. 1st item: Old Pawn silver watch band with applied leaf and blossom decorations accented with turquoise and red coral cabochons, Army brand watch (Japanese movement, not working at time of inspection). 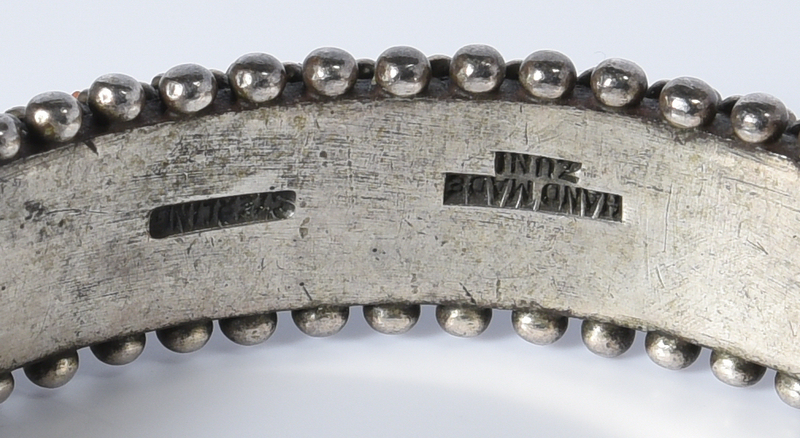 Watchband unmarked. 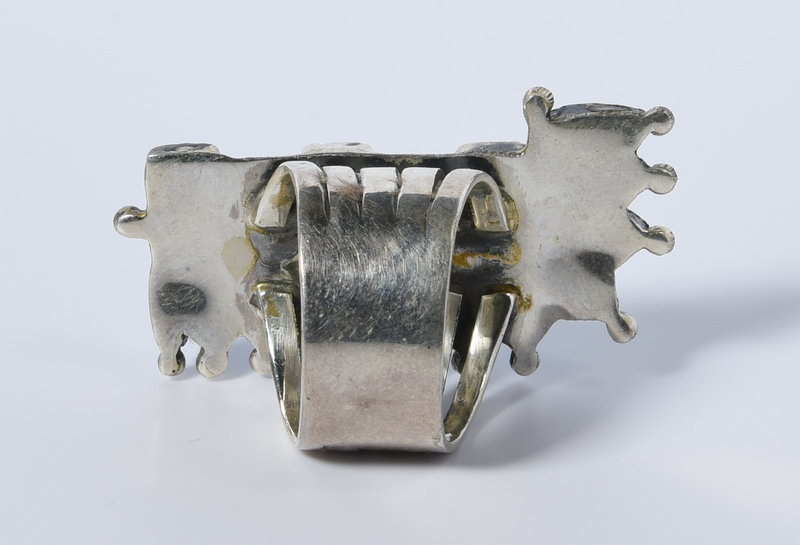 7 3/8" L x 1 3/8" W. 2nd item: Old Pawn silver watch band ends with turquoise and coral decoration and later elastic band, lacking watch face. 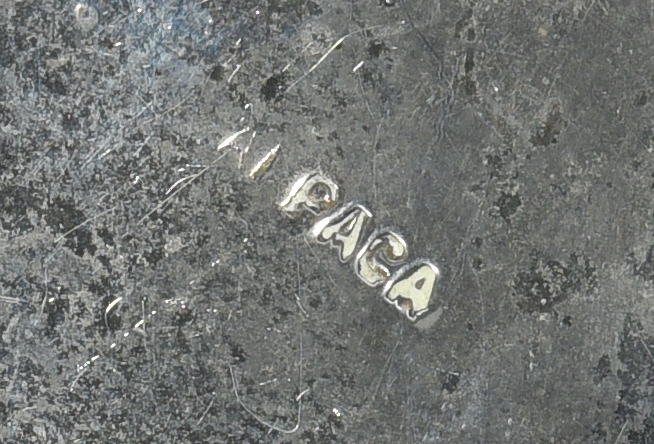 Both ends marked sterling. 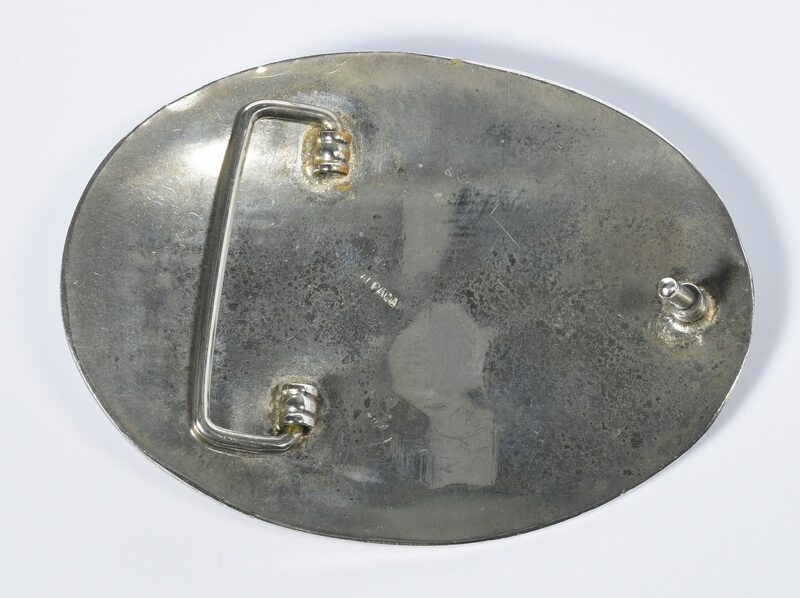 Ends – 1 3/8" W x 1 5/8" L. Overall – 6 1/4" L. 3rd item: Large oval belt buckle with applied figural steer. Marked Alpaca on back. 3" W X 4 1/4" L. Some wear and oxidation to steer. 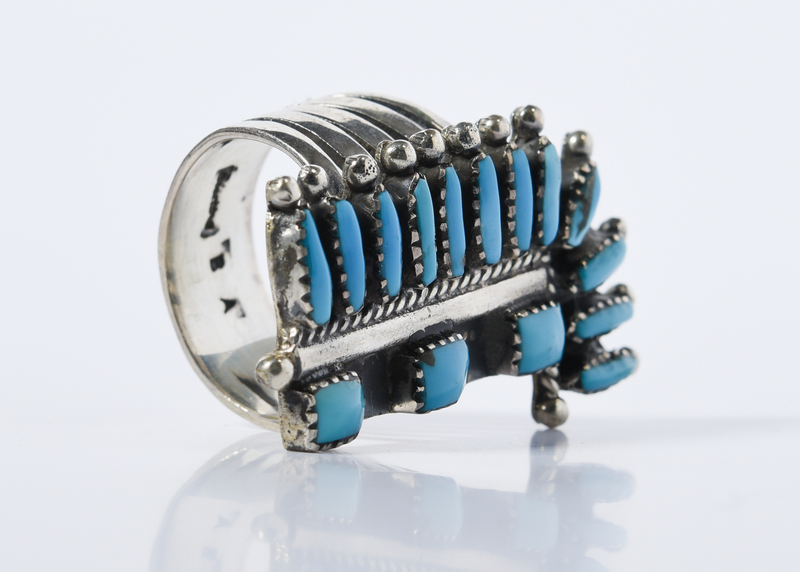 4th item: Large silver and "needlepoint" turquoise ring, unmarked. 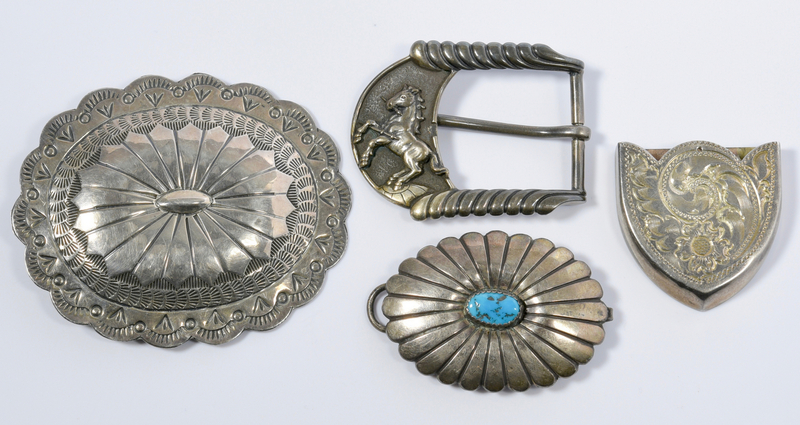 1 3/4" H. 5th and 6th item: 2 single conchos, the smaller one marked J. Blackgoat Sterling, the larger one unmarked. 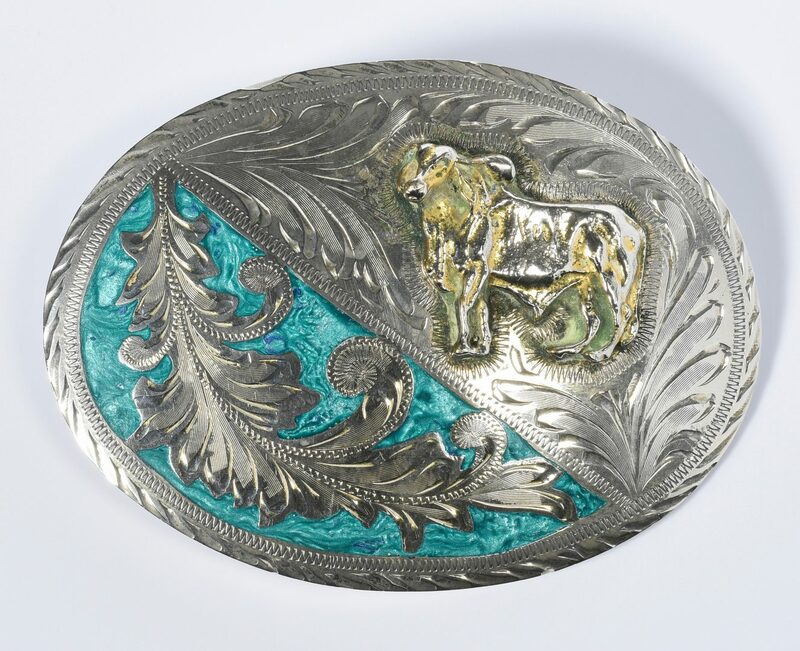 2" L and 3" L. 7th item: Sterling belt buckle marked Francolini Sterling, with raised rearing horse design. 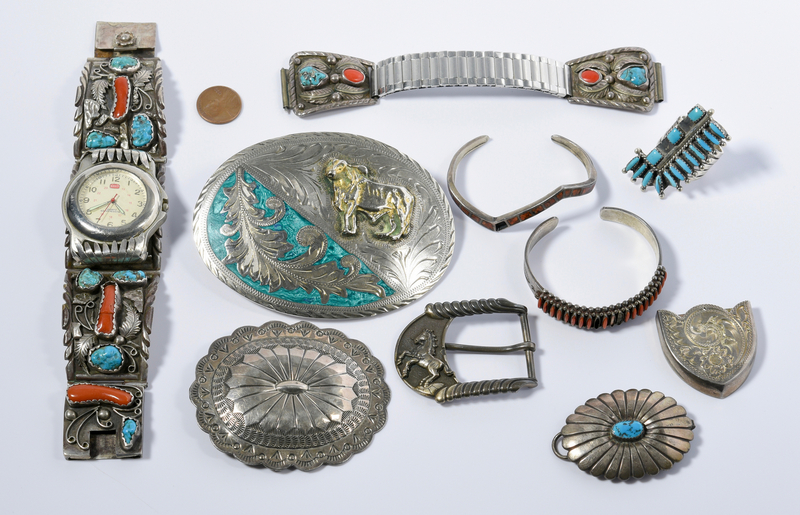 2" L. 8th and 9th items: 2 small size Zuni bracelets inset with red coral stones. 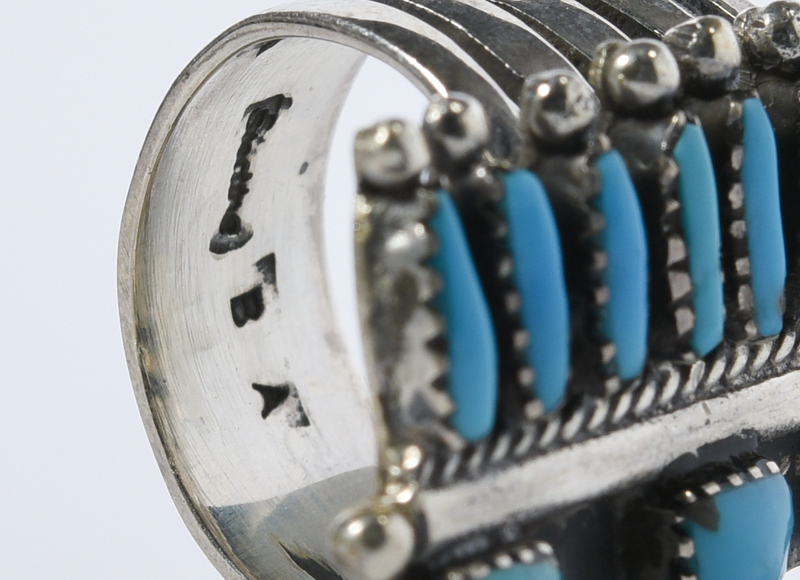 Narrower bracelet (unmarked) has one missing stone, wider bracelet (marked Handmade Zuni Sterling) has additional engraving design and is missing 3 stones. 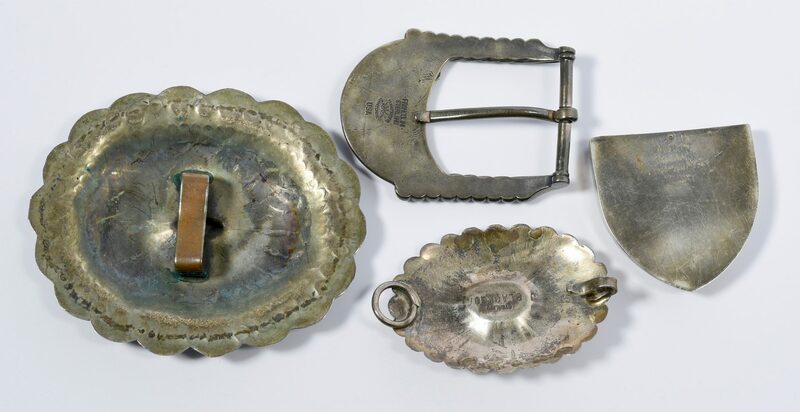 Each measures 2" L. 10th item: Engraved sterling belt end, stamped Western Originals / hand engraved by V. McCuin / Sterling. 1 1/2" L. Provenance: the estate of Capt. L. Bush Cole, Nashville, Tennessee (formerly of Texas). CONDITION: All items in very good condition except where noted in above description.